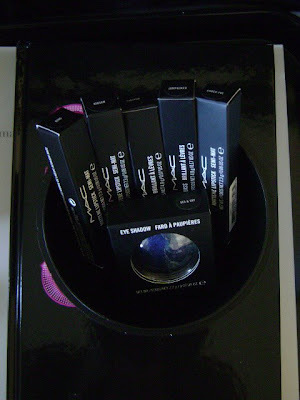 Okay, so you all know that this is not a blog geared toward makeup/beauty...HOWEVER, I LOVE LOVE LOVE makeup and all the possibilities contained therein, and MAC has to be my one of my favorite cosmetic lines due to the vibrance and versatility of their shades/products, not to mention, finding my foundation color is a no-brainer there. 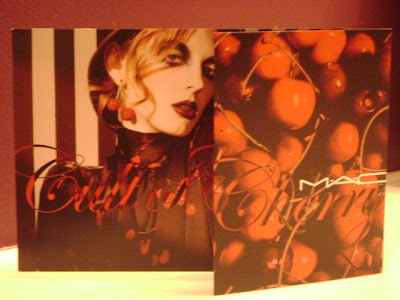 :-) I went to the MAC store today--and stepping away from my shopping hiatus stint for a mere moment--purchased some prods from their new cult of cherry (CoC) collection. Woohoo! 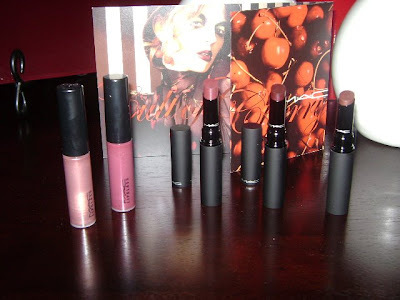 These deep burgundys, rich reds and shimmery, luster-filled glosses are inspiration all by themselves! 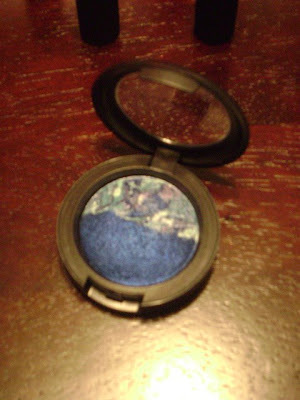 BTW, I also picked up a beautiful eyeshadow from their mineralize collection, which you can find a rave review on over at Scandalous Beauty.